If your furnace needs a new control board the average cost for a HVAC technician to install it is $400-$600 dollars. If you are a home DIY type of person furnace control boards can be bought online for $50-$250 dollars depending on the furnace. Doing it yourself is very tempting so let’s look at a few things needed to do it. First be sure the board is bad. This often requires a HVAC tech to look at the furnace since there are so many variables. The control board should have a LED that flashes error codes. The codes often are listed on the panel door or somewhere in the unit. If you have already gotten this diagnosis from a HVAC company more than likely that is the problem. Buying the correct board online is the next step. I personally usually use Amazon but this is simply a personal choice as they have a large selection eBay also has a good selection. If you order a board be sure to match the part number from the old board or the name and model of the furnace. Furnace Control Board On Amazon. Steps To Replacing Furnace Control Board. Every furnace will be slightly different and the manufacture directions should always be followed. 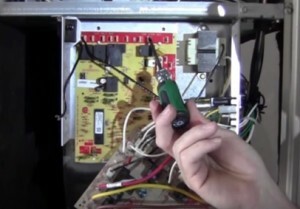 2…Take picture with your phone of the wiring and possibly a video. Simply be sure you have a reference to fall back to for what wires went were. 3..Before handling the new board ground your hand on a metal surface since static electricity can damage control boards. 4…Remove the screws holding it in place. Try to leave the wires attached if possible, if this is not possible than transfer the wires one at a time to the new board. 5…Insert the new board and screw it into place. 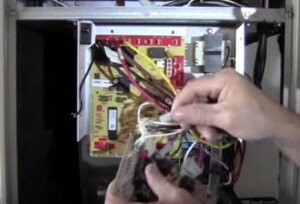 6…Attach the wires to their correct location. 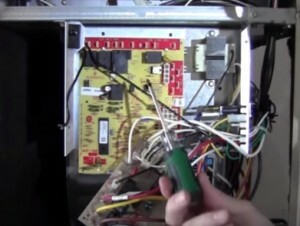 7…Verify the wiring is correct from the picture that were taking. 8…Plug the furnace back in and test it. 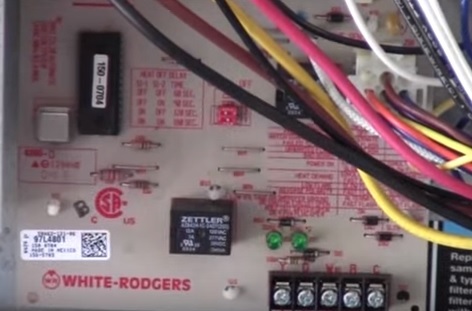 The cost to replace a furnace control board can be high but is necessary if you dont feel comfortable doing it yourself. It does not take a lot of skill to replace a furnace control board but if you do be sure to watch a few videos like those listed below. Also be sure to get the correct replacement board using the part number. “It doesn’t take a lot of skill to replace a control board”!? Lets say you need to fight an insurance company to receive your proper dues. Are you going to fight them? NO, YOU ARE CALLING A LAWYER! Why? He or she has SKILL and KNOWLEDGE OF THE LAWS! If you have gone to school, obtaining expensive tools, working long hours, additional training due to new efficiency standards, troubleshooting accurately and properly, taking the proper readings as per manufacturers specifications, making sure there are no other reasons for said breakdown, and making sure the system is safe to use afterward, you would not have made that statement. DO NOT FEED THAT NONSENSE TO THE PUBLIC! This is the reason we trained and certified service technicians across the industry have a difficult time with clients. Some repairs require advanced knowledge, some are simple parts tradeouts. I had a burnt out heating element in my oven. Two screws. Check with an ohmmeter. $15 for the element on Amazon. Now, a repair person would charge minimum $100 labor and would mark the part up to $50.so $200 vs. $15 and an hour of my time. Would I mess with gas connections? No. Diagnose complex wiring problems? No. But don’t tell me you need to be an expert to solve simple parts replacement. Our control board actually burned up. HVAC guys think we should replace the whole furnace because we don’t know what caused the fire. Could the fire have been just the control board itself? Color wires and where does the positive and negative plug go?